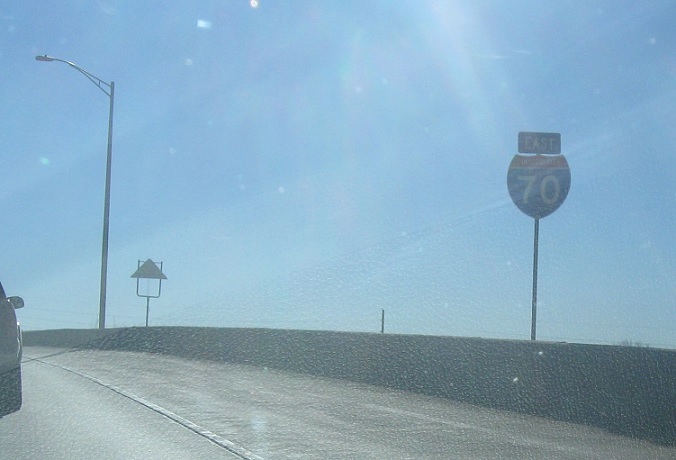 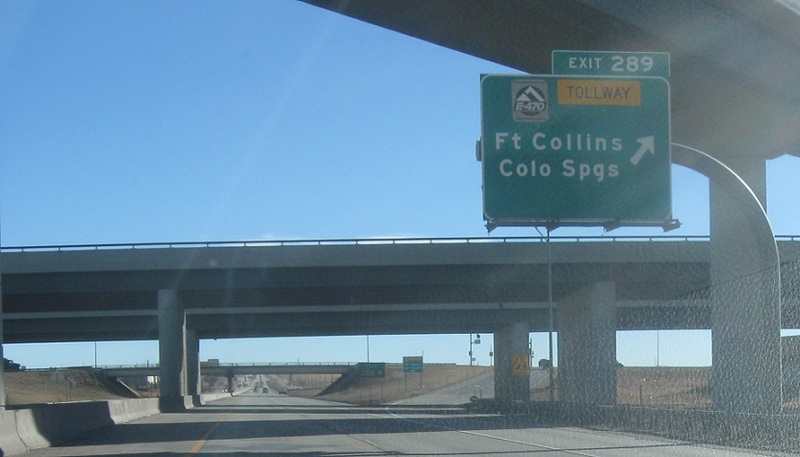 Reassurance shield as US-40 and US-287 join I-70. 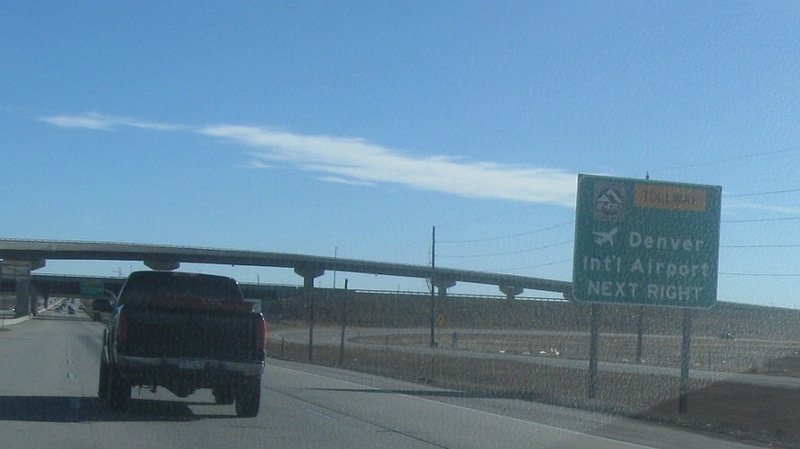 Immediately thereafter, we’ll approach E-470. 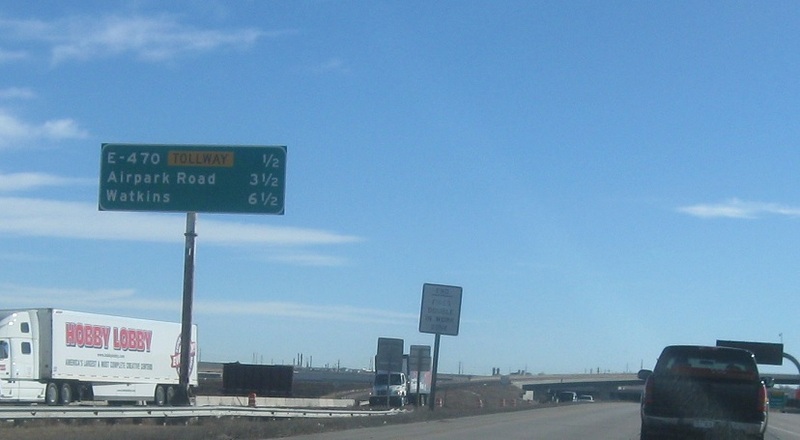 Exit here for E-470 towards Denver Airport.